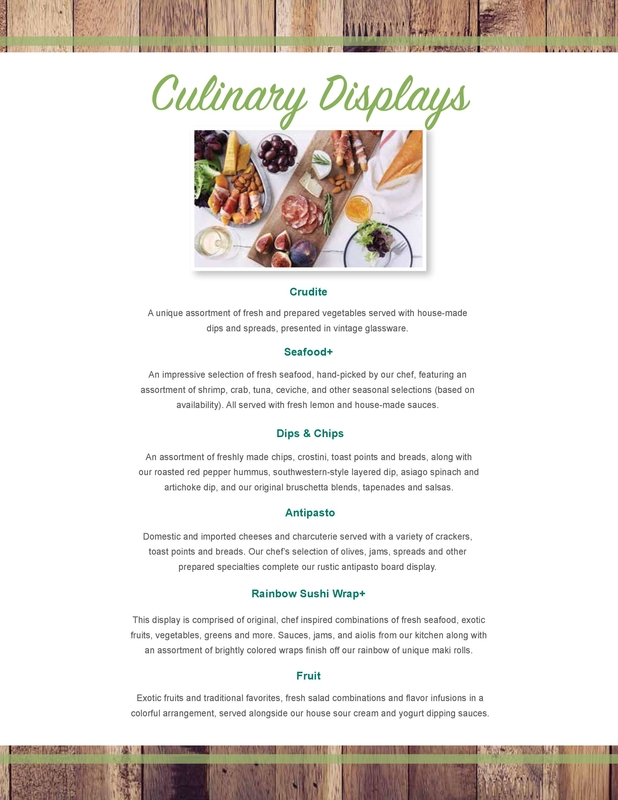 Let our classically trained, award-winning chefs and catering manager create a menu that is distinctively you. 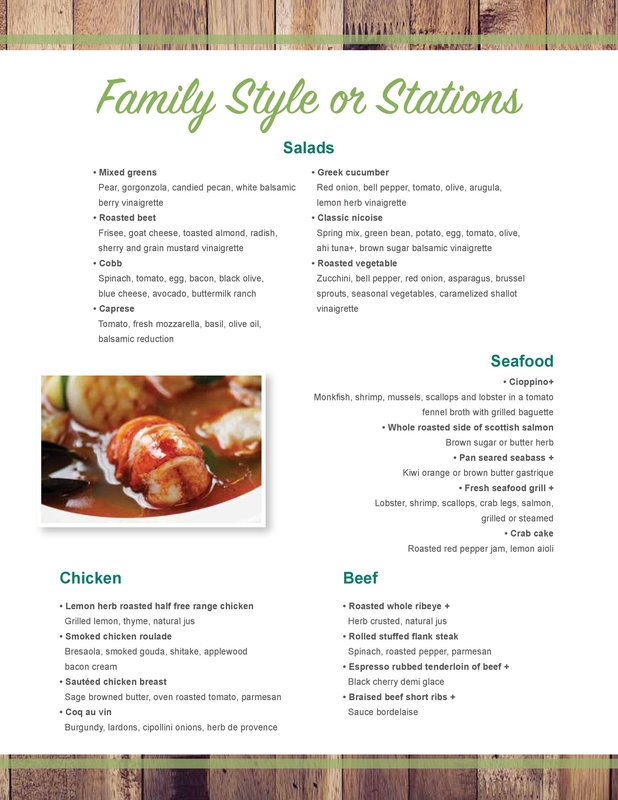 We’ll work for you to ensure that no detail goes overlooked. 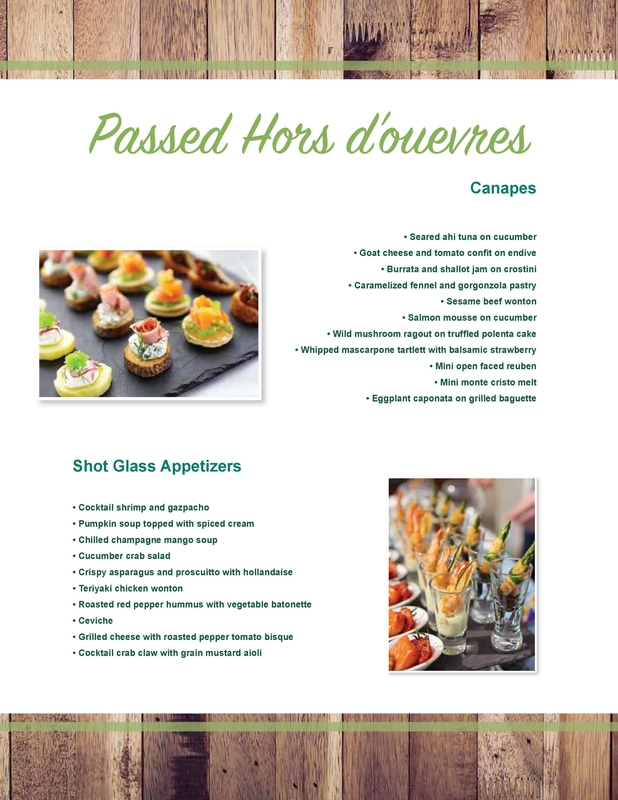 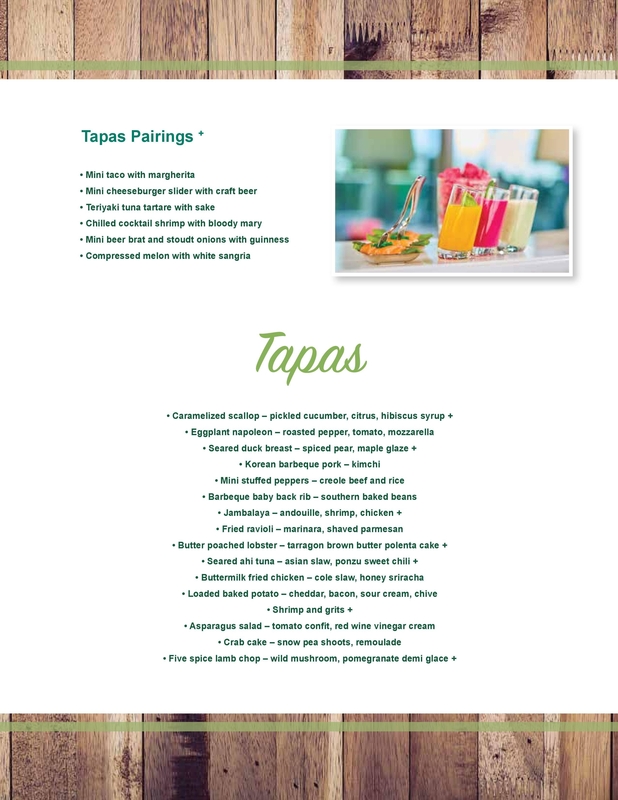 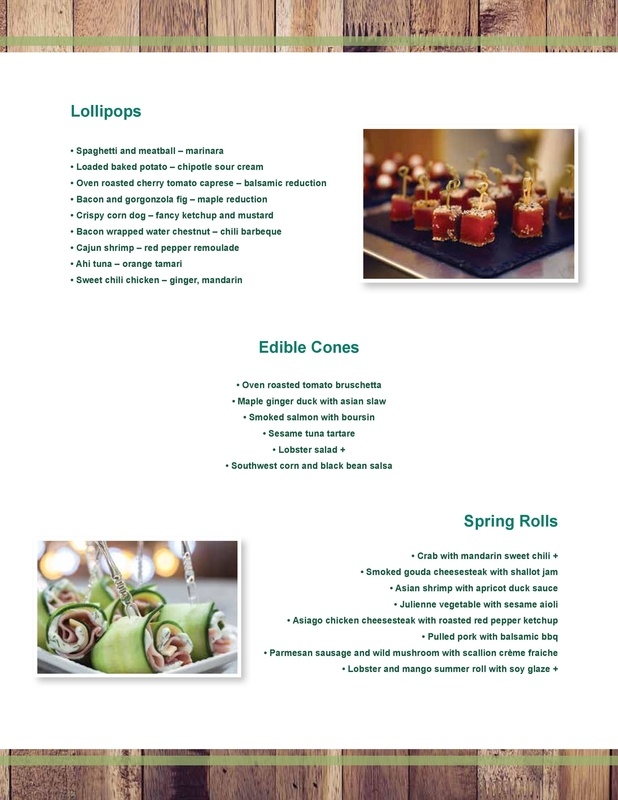 Below we have some ideas of popular dishes, but as no event is the same, we look forward to creating a personalized, custom menu specially for you. 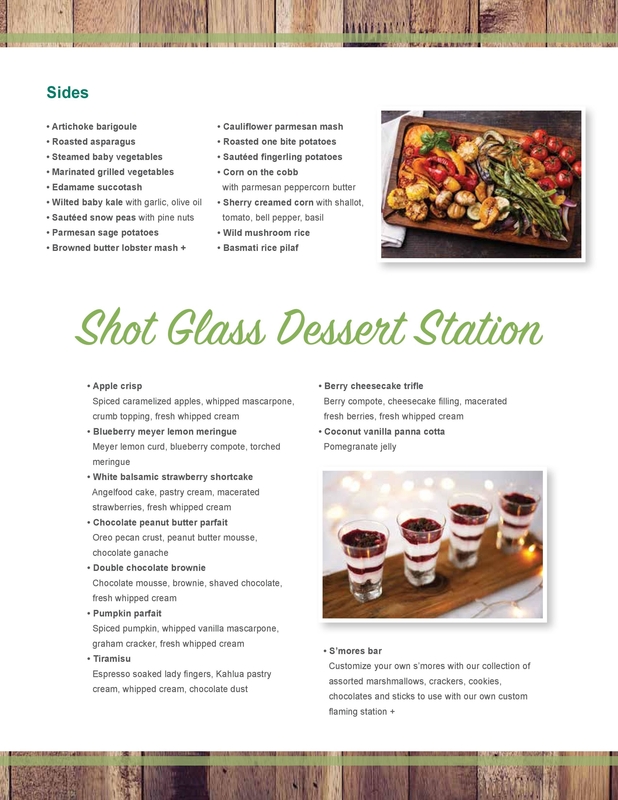 We are happy to prepare any of these dishes gluten free, vegan, or any other dietary needs you or your guests may require.